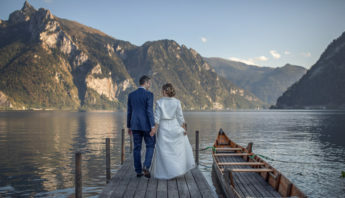 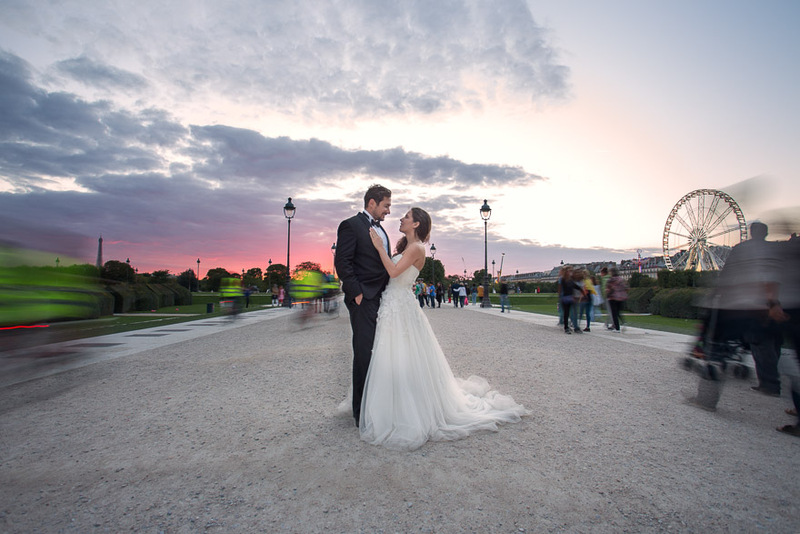 Kathrin and Jean had their fabulous wedding in Austria and it seemed a good idea to have a wedding portrait session in Paris, as well, since Jean is originally from France. 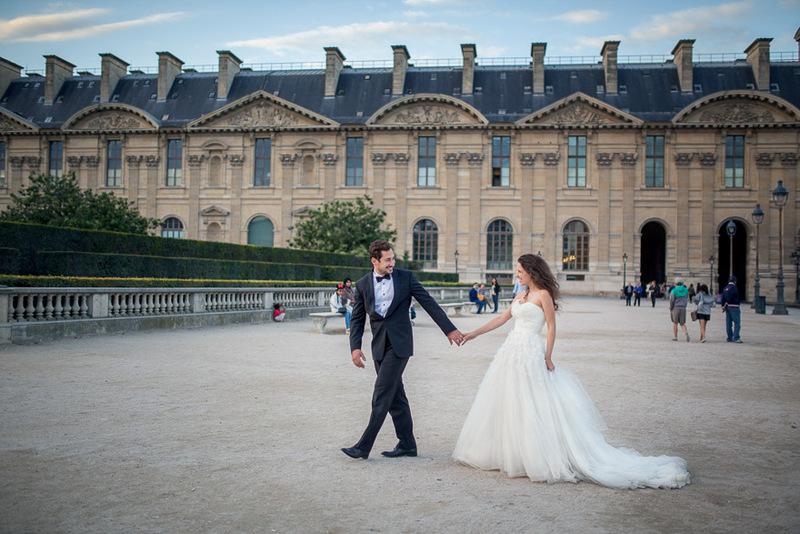 While they live in Vienna at the moment, they had also spent a few years in Paris. 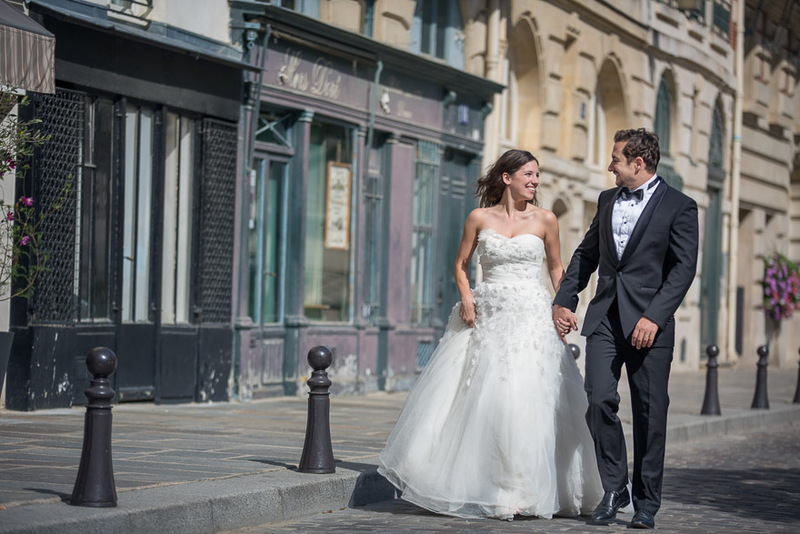 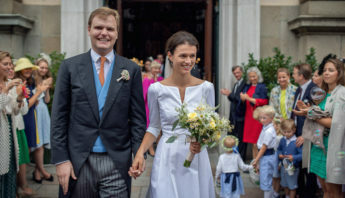 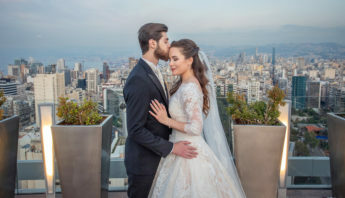 We planned to have our wedding photo shoot in Paris in mid-August on a Saturday, when most of Europe was tormented by heatwaves. 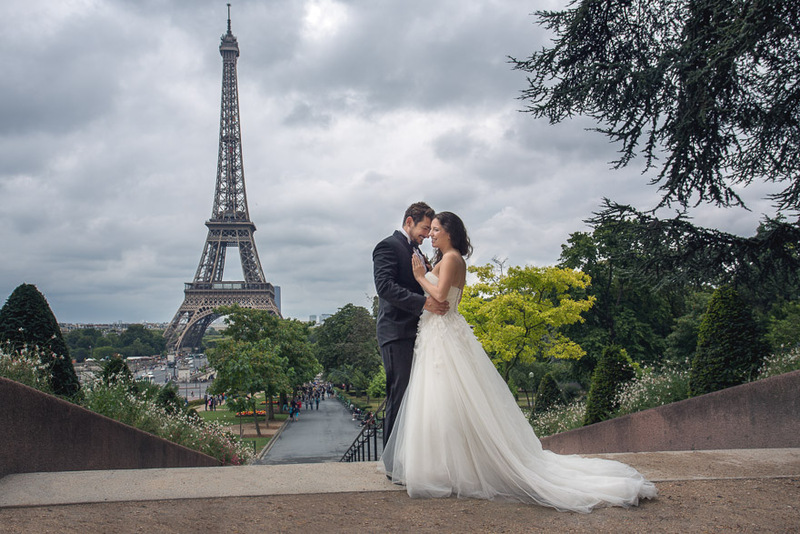 It was quite cold and raining in Paris during the night before the planned wedding photo shoot and we could only hope that the clouds will go away. 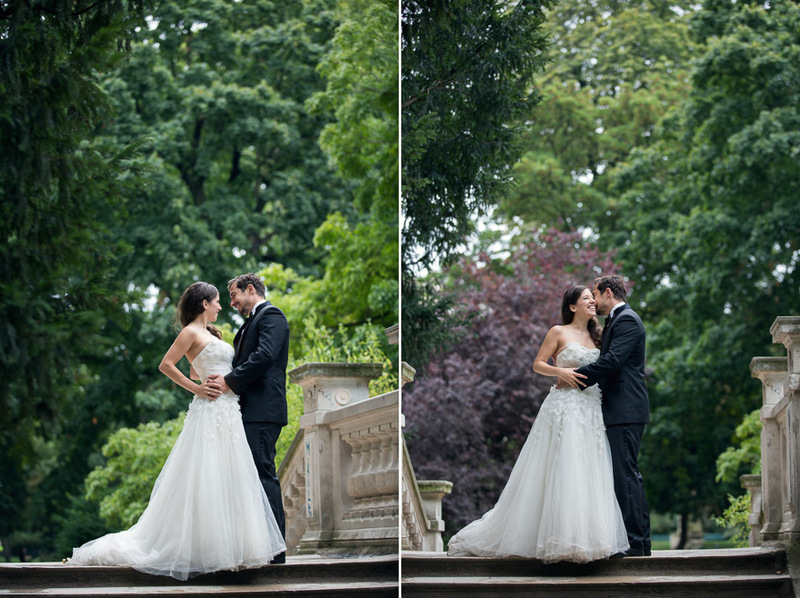 Fortunately, it wasn’t rainy in the morning and the sky became clear by afternoon. 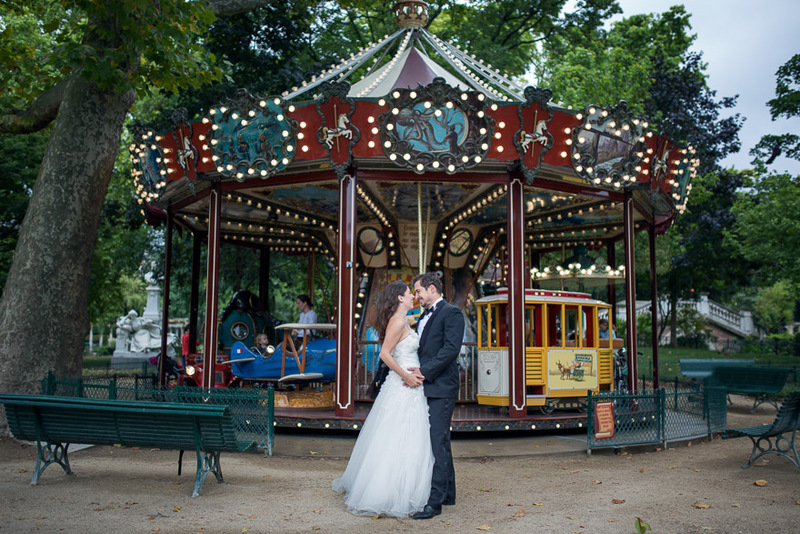 We started our photo session at a public park, Parc Monceau, then we moved to Place du Trocadéro to have the iconic Eiffel Tower in the background. 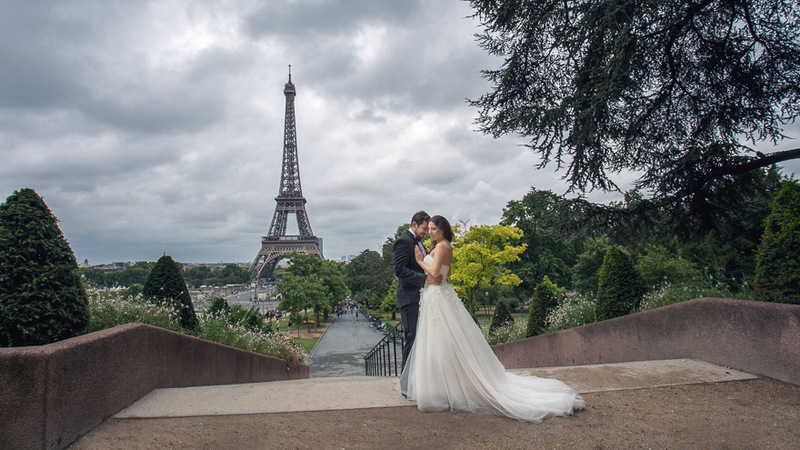 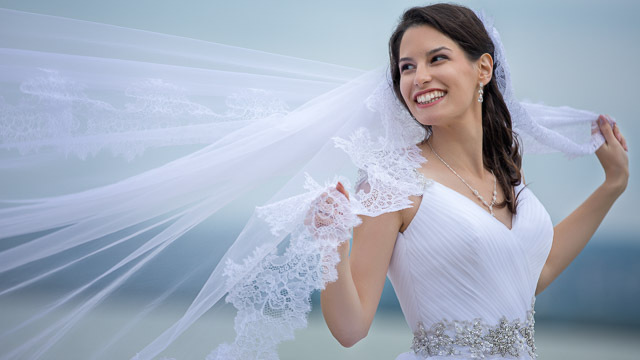 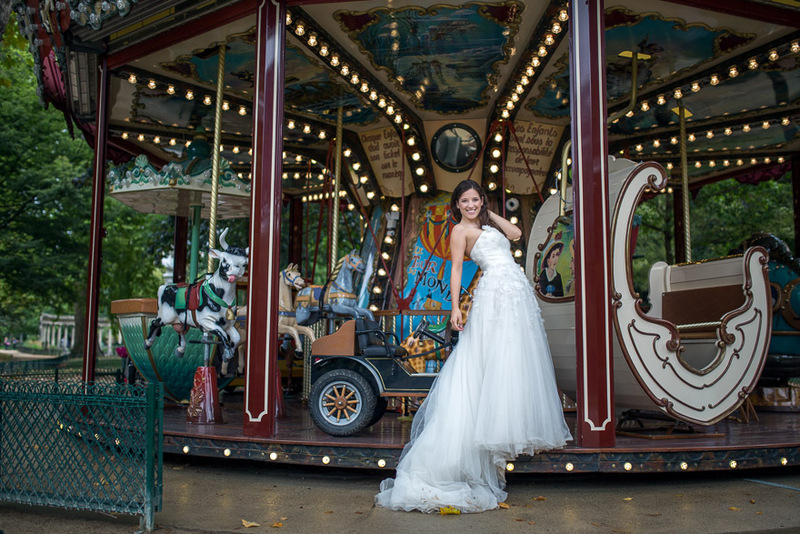 When having wedding photography in Paris, the Eifel Tower is always a must-have location. 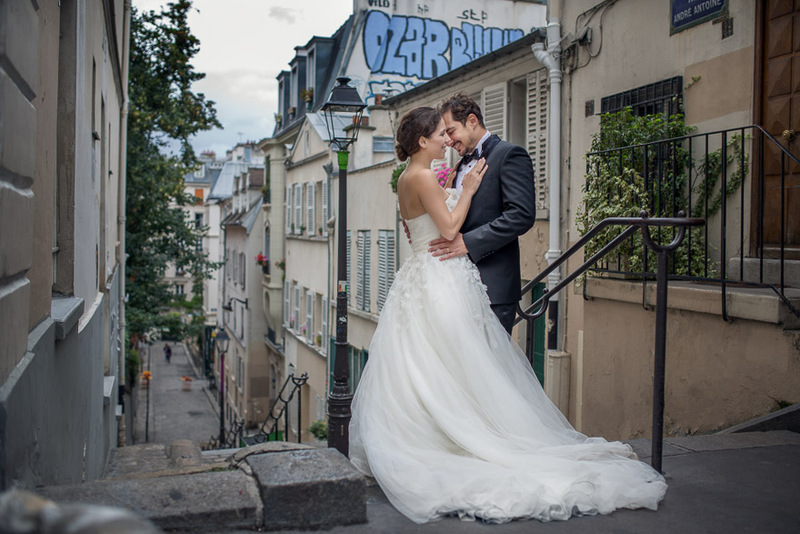 Our next stop was Montmartre, the historic district of Paris, since our accommodation was there, anyway. 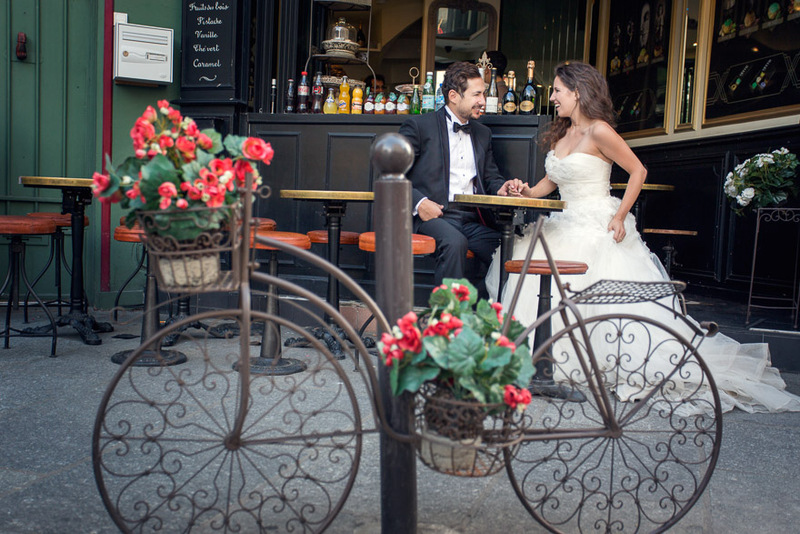 The streets and buildings of Montmartre from the nineteenth century full of cafés and restaurants is a one of the moodiest parts of Paris. 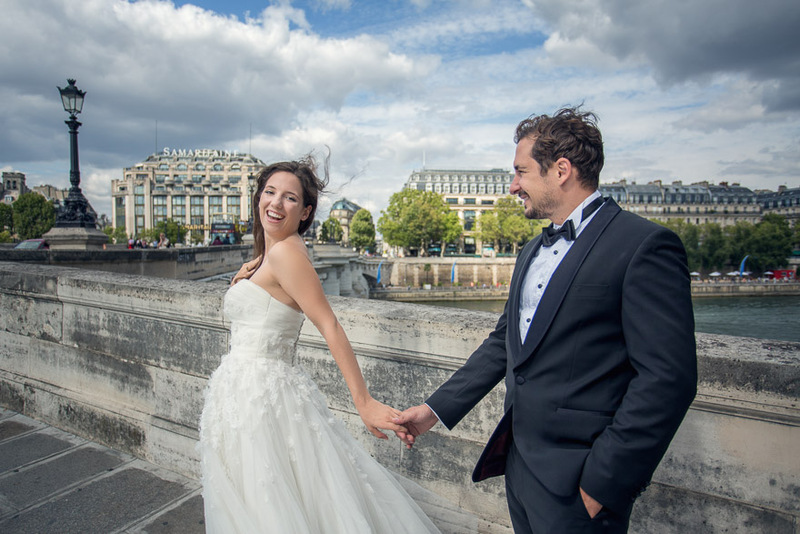 After leaving Montmartre we drove to the Seine, we were shooting in the neighborhood of the Palais de Justice and Pont Neuf (New Bridge). 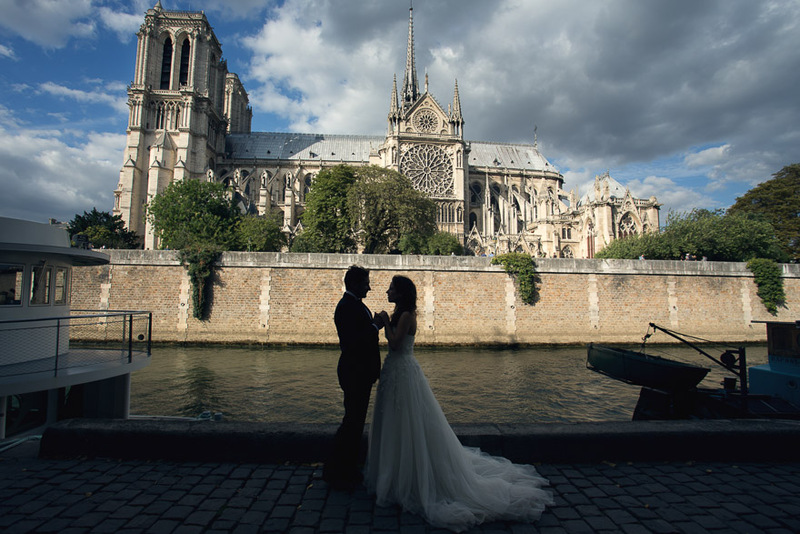 The Cathedral of Notre Dame was nearby and we also took a few wedding portraits there in the sunny afternoon. 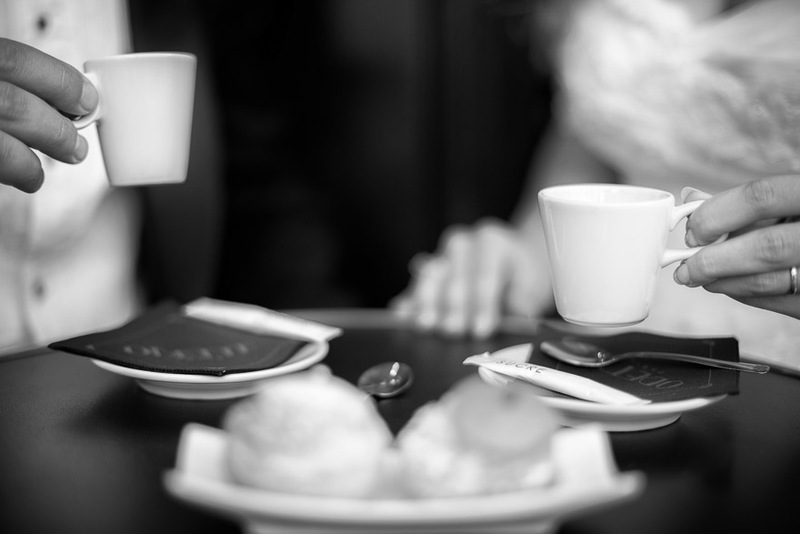 We relaxed a bit at Odette Paris, a moody café restaurant nearby. 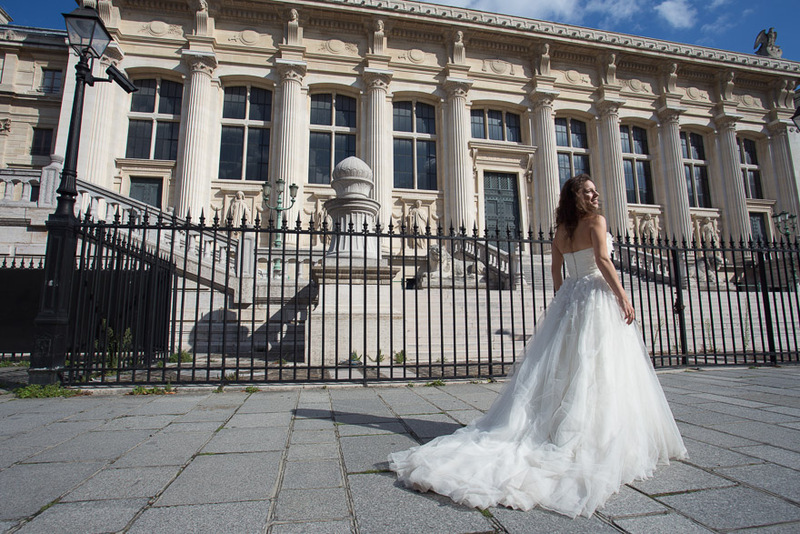 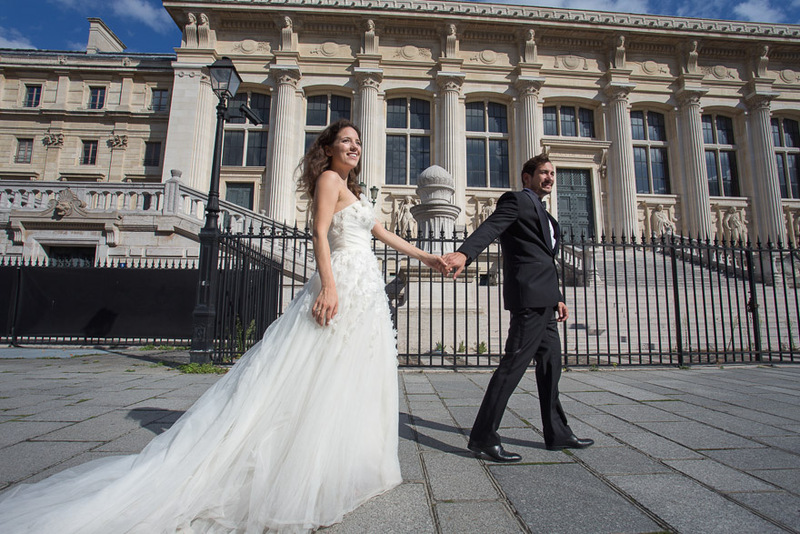 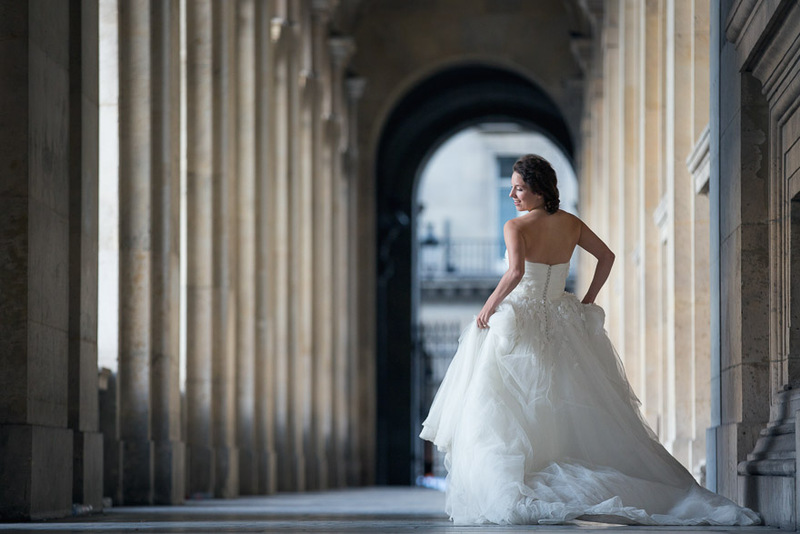 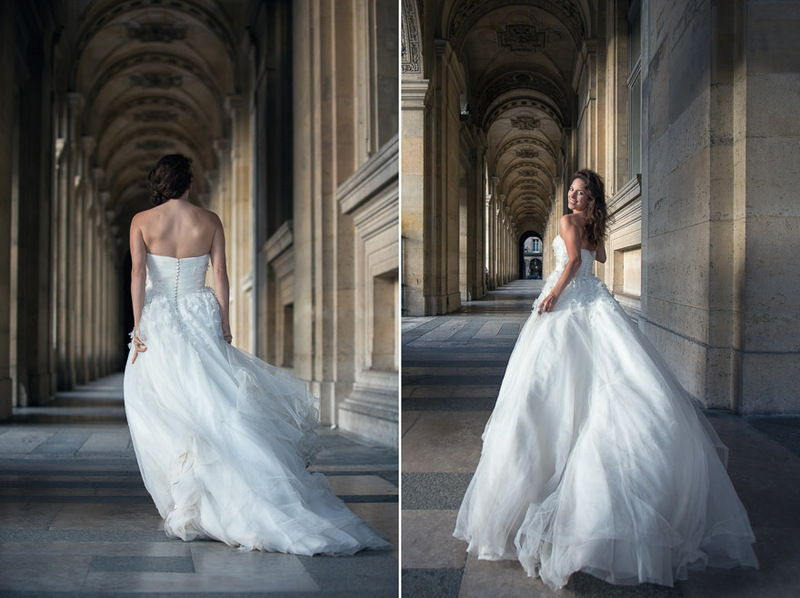 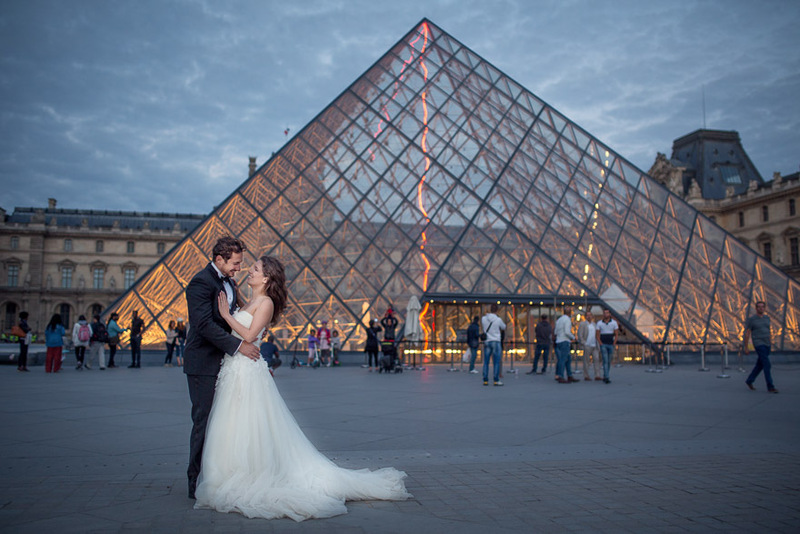 We finished our wedding photography session by the Louvre and the Louvre Pyramid. 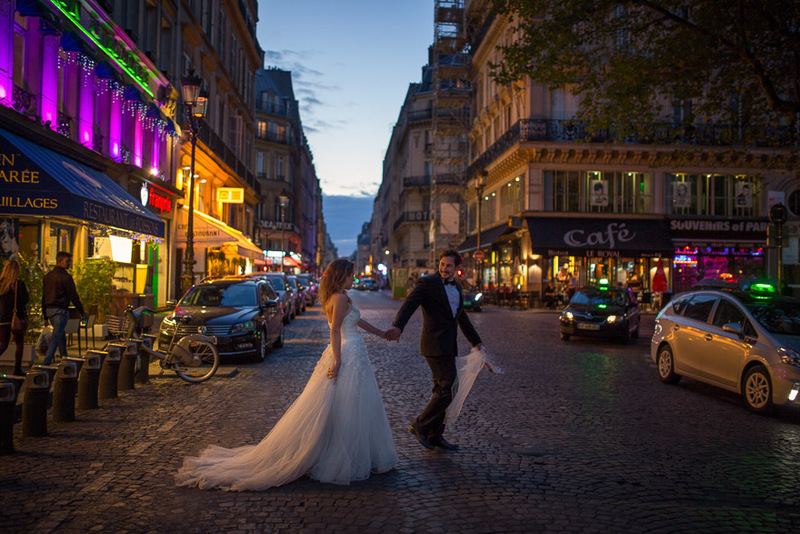 At the last rays of the sunset and car headlights we could still have a glimpse of the glowing Arc de Triomphe in the distance, at the at the western end of the Champs-Élysées. 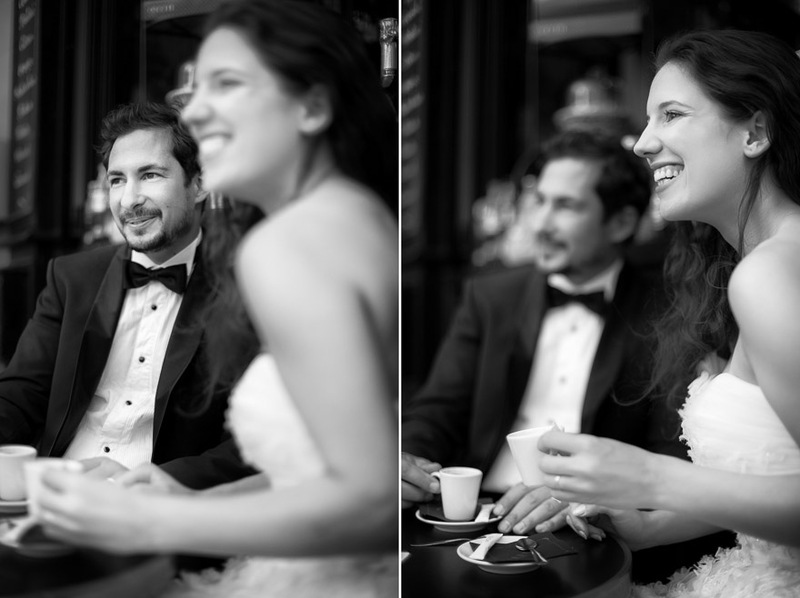 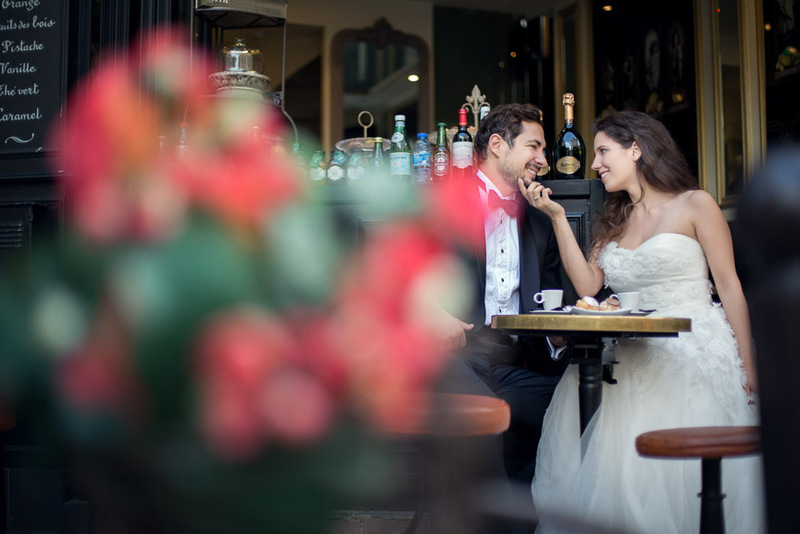 Our wedding photography session was successful in Paris.